Participation Requirements: Requires audition. Please email director or Julie Andrijeski. The CWRU Baroque Orchestra provides an opportunity for Case and CIM students to receive practical, pre-professional training in the burgeoning field of 17th- and 18th-century performance practice. The orchestra rehearses twice weekly and generally presents two concerts each semester. 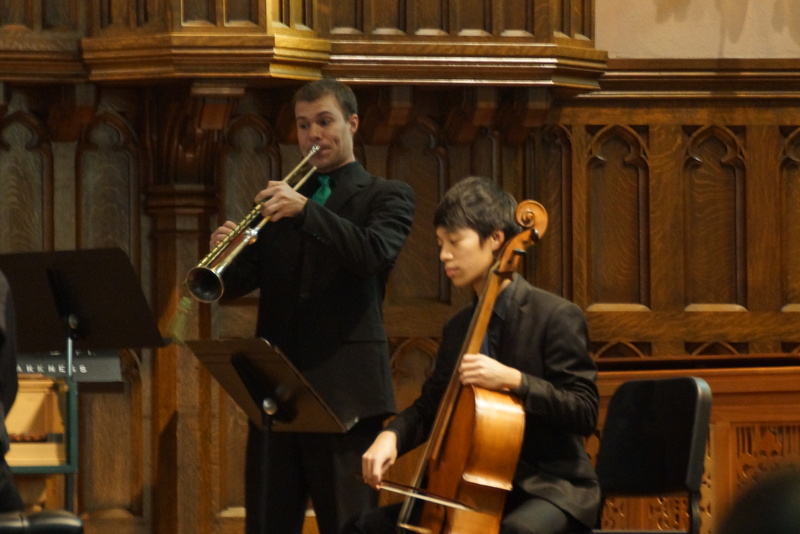 Each semester’s programs concentrate on a particular aspect of Baroque ensemble music: for instance, the music around J S Bach,17th-century Italian ensemble music, or French composers under the influence of Italian musical taste. Some programs draw upon the resources of local singers and instrumentalists trained in early techniques. In addition to regular direction by violinist Julie Andrijeski, players occasionally benefit from coaching by Dr. Peter Bennett (harpsichord), Debra Nagy (oboe) and other accomplished instrumentalists in the area, each of whom has extensive international performance and teaching experience. Instruments and bows in 17th- and 18th-century set-up are available from the Kulas Collection. Please contact Jaap ter Linden, director or Julie Andrijeski.